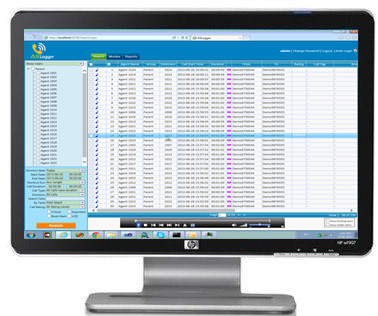 ASLogger provides a feature of agent's screen recording. It has a capability of multiple monitors screen recording so that supervisor can see agent's activities while he attended the calls. Manually Begin Recording Employee Screens. Verify Employees Are Following Company Policy with PC Usage. Record remote offices and at-home agents. Agents will not notice any change in system performance when recording begins. Synchronized audio/video playback with call.